i think it feels that way currently because there’s barely any music playing except for a tidbit of the circle of life, and little sound effects. once the full version is shown complete with the music and sound effects I think it’ll have a more majestic feel. I'm excited. And y'know what? This is actually more exciting now that I know it's a scene for scene remake just in CGI. Let's be honest; The Lion King, as it is, is pretty much a perfect movie; in that I don't know any better casting choices I would have made, the animation and art style is timeless, the music and songs were all great, it's emotional when it wants to be and silly when it wants to be, it's a great movie. 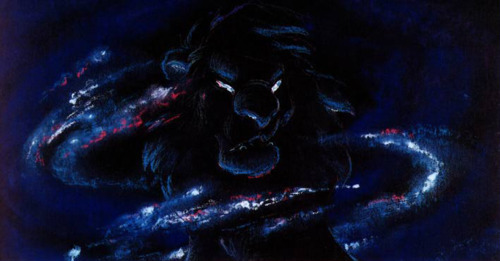 So that being said, this was always marketed as a CGI remake, it was never going to be aimed at long time Lion King nerds who want the plot expanded. If you can think of a better way of making a "live action CGI" remake of The Lion King that isn't just the same film but without the disconnect of animation and has the added immersion of looking real, I'll be glad to hear it. We don't need new characters, expanded plot, a new story etc. Personally I'm completely happy and a little relieved that it is just the same movie but a CGI adaptation. People who aren't are probably the same people who scream when their favourite videogames get movie adaptations but the plot is weak because they try to make something new instead of just using the already excellent source material. I just don't understand how so many people can be unhappy that it's the same film just in CGI and then say they loved the original movie... Does that not sound illogical to anyone else? You could argue it's a cash grab but so what? People were saying that about Pokemon Lets Go on Switch and now it's out everyone is loving it. Point is, cash grabs can still be enjoyed. The new Spyro remaster games are great because it's literally the same game just with better graphics. I feel like this movie if ever there was one is absolutely one you should exercise the old "if it ain't broke don't fix it" mantra and they have done that so I'm actually on board with this. And on top of all that, the CGI is impressive in that trailer. The way it looks just like the original movie which was animated but still looks legitimately real is impressive. Sure it's not as colourful but then, if it's supposed to looks real; then that's how it would look. It's not as colourful because the world isn't as colourful as a Disney animated movie. I'm not too hyped about it but I'll definitely go watch it because if it's going to be the same movie then I know it will at least be enjoyable, it doesn't have to be better than the original, it just needs to be a CGI adaptation of it and that's exactly what we are getting. i think they will make the movie 2 hours, which is 30 more minutes than the original. i’m hoping that if true, they use that time to give characters like sarabi and nala more screen time and more character development. Is anyone else thinking the roar at the end wasn't very good? Don't know if it's just my nostalgia goggles or what, but the old way of yelling into a trash can sounded better, from what I can remember. FlipMode wrote: People who aren't are probably the same people who scream when their favourite videogames get movie adaptations but the plot is weak because they try to make something new instead of just using the already excellent source material. Expectations over a remake of an older movie are largely different from what is expected out of a video game-to-movie adaptation. One is retreading the same ground and thus should present its material in a fresh enough light to justify its existence (notable successful attempts being the various horror remakes in the 80s), whereas the other is thrusting material from one medium into another, which already significantly changes the whole paradigm behind how its story will be presented before they even get around to deciding how much they will adapt from the source material. As a result, people's desire to see familiar storylines from games be redone in another format is still seen as exciting and new, whereas a film remake has more baggage to carry and should typically avoid being an almost 1:1 copy, otherwise it'll come off as a superficially different but otherwise redundant venture. Those kinds of remakes should be reserved for adapting what were initially utter failures, not past successes. Additionally, people's beef with most video game movies isn't solely that they change the plots, but that they completely misunderstand the core ideas behind the games they're based on, presenting a story that's often so far removed from the original work that it's barely an adaptation. That and/or a lot of them tend to just be sloppily made because they're given to c-list directors and writers. Regulus wrote: Is anyone else thinking the roar at the end wasn't very good? Don't know if it's just my nostalgia goggles or what, but the old way of yelling into a trash can sounded better, from what I can remember. I don't have an issue with the roar itself, but there's definitely something less impactful about the composition/storyboarding, though. However, this comes across off as one of those unfinished bits you'll only see in a trailer, with the actual scene being presented a little differently in the final cut of the film. I actually really like watching photorealistic CG animals; part of that probably comes from growing up watching dinosaur documentaries like Walking with Dinosaurs and similar shows and marveling over how they were able to bring these imagined (though real) worlds and creatures to life in such a convincing manner. As such, I'm admittedly a bit suckered into watching this movie on the merits of that alone; I'm definitely going to see it and enjoy it visually, even if it does end up being a shot-for-shot remake of the cartoon. That said, just visuals and voice casting aren't enough for me to think this was worth doing on an artistic level; the story should have some twists and deeper characterization, especially if they're going to add another 20-30 minutes worth of material and a seemingly grittier tone than the original. Honestly, if they just copied the Broadway story then I'd be fine; that's more or less where my bar is set insofar as expectations for this. If they go a little beyond that, that'd be even better. But we'll see. Also, spare observation (that I didn't make myself): there's a hyena in the stampede scene. I'll let you all find it for yourselves. while people here have remained civil about the remake with their criticisms towards it i’ve seen some stupid and venomous ‘hot takes’ towards it that really make my blood boil. but I really feel like hitting my head on a desk sometimes with the stupidity i have seen. Gaze wrote: I hate to be the negative one but damn I’m really not feelin this /~: I hate how drab and dull the colors are. the CoL scene is supposed to be beautiful, joyous, and awe-inspiring but this version looks more sad and eerie to me. I just don’t really see the appeal of hyperrealism at the expense of all the original’s life and color. I do think Rafiki looks pretty neat but baby Simba looks off to me, and not feelin adult Simba as just a regular ole normal realistic looking lion (but we did only get a small glimpse of him, so I don’t wanna judge too soon, and maybe it’ll feel different when we actually get to see him speaking & emoting). Ok let me ask you this from someone who studies nature and watches alot of Wildlife television. Do you love Africa? do you watch raw nature shows, if you did you shouldnt be complaining at all, This is the real life version of Africa, the real life raw nature people, this is NOT cartooned! the colors in nature are dull, we dont live in a cartooned world. This is how Africa looks, nature isnt perfect, thats how Mother nature intended it to be, those brighter cartoon colors are more for the young viewers this is the grown up version now. get with the new technology. The old drawing animation is dead. I love Africa and its culture With the beautiful acacia trees, they are one of the many symbols of African spirit to me. In the animated film Rafiki uses a gourd, but this remake will be different weather we like it or not. Here Rafiki is using some kind of root, and I would LOVE to learn more about this root in the future. This here has got to be the Pride Rock den that Simba is emerging from, and as you can see what he is stepping on here is some kind of rock sand, and its got to be the same thing from the rock sand of Pride Rock that Rafiki uses in the Animated version. and THAT is one of the many beautiful things about nature and Africa and here Mufasa's paw print is just beautifully imprinted into that rock sand as Simba adorably steps into it. Now this has got to be the most impressive thing I have ever seen, the FUR! THE DETAIL! they did a really great job of the fur! JUST LIKE how it should look on a real lion, soft looking, and here you can see Simba is much darker then his mother Sarabis, Sarabis is much lighter, there is just one difference about Simba, there is no short tiny tuft on the head, we get a simple normal cub look just how it should be, but thats ok how could we not tell this is obviously going to be Simba. And of course they are not aloud to use real animals for film making its just too dangerous, and animals deserve to stay free and in the wild, so they are getting alot of applause and credit for the effort they put into this film and we have yet to see more. Now with that roar, there is a big difference between the roar in the animated and how a lion roars in the wild. I have always wondered and imagined what it would be like in real life, now we will finally see what Lion King looks like in real life law Africa. CANT WAIT! I am super excited for this CHI remake of The Lion King! I looks fantastic and I am very intrigued about how the new cast will sound as these beloved characters! I am VERY haply that they got James Earl Jones to voice Mufasa again!! And it moves us all.